Immediate opening for a Senior Advanced Software Engineer to join our team. The selected candidate will work with collaborative teams to build and further advance our patent software systems and applications. In addition to receiving a competitive salary and generous health and personal benefits, the Senior Advanced Software Engineer will enhance their skill set by working among a talented and technically accomplished group of colleagues. The employee will also enjoy a flexible work environment where contributions are recognized and rewarded. Senior Advanced Software Engineers conduct or participate in the research, design and development of systems software, software applications and/or tools for new programs and subprograms. Responsibilities also include enhancements, modifications and corrections to existing software. In addition, these employees are responsible for coding, testing, integrating and documenting software solutions. �Exercise creative thinking and ideation to advance our business performance. 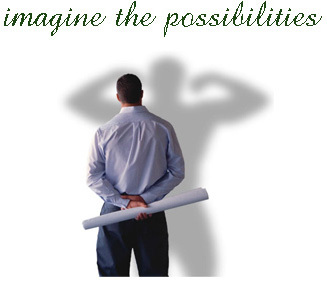 �Deliver innovative, flexible, integrated solutions to meet customers changing business needs. �Support and engage in programs, projects and practices behind the ZGV culture and strategy, and comply with all policies and procedures. �Follow industry and department trends and developments to ensure ZGV services are consistent with, and/or superior to, industry best practices. Candidates must show a passion for innovation, a sophisticated understanding of software systems and applications, and the ability to effectively manage, grow and evolve ZGV software solutions. The Senior Advanced Software Engineer position requires a bachelors degree in a specialized area or equivalent field and 8-10 of related experience; or masters degree and 8 years of related experience. �Experience using SQL Server and Hibernate. �Experience using TestNG for unit testing. �Experience using Swing or JavaFX. �Familiar with source control tools. �An eye for good user interface design. �Comfortable with the Eclipse IDE and debugging techniques.